Welcome to the Exciting world of: "Magic Sam & Friends", formerly “Sam The Magic Clown”. We have been professional entertainers for the DFW area since 2000. Worked with children’s entertainments for more than 35 yrs! 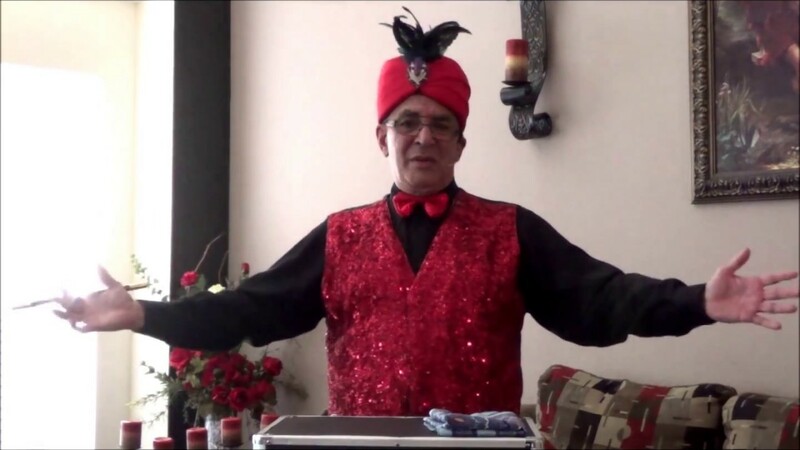 We offer: Funny Magic Shows - Clown shows* - Face Painting - Balloon Sculptures - Games - Music and lots of fun for all present. GOOD NEWS!!! In addition now we also offer: Photo Booth and Party Balloon Decorations. Ask us for pricing! Magic Sam was awsome. The children enjoyed the balloons and face painting. They were dressed like cute elves. I will use the again in the future. Thank you Kim! We really enjoyed participating in your event ! Sam was awesome. 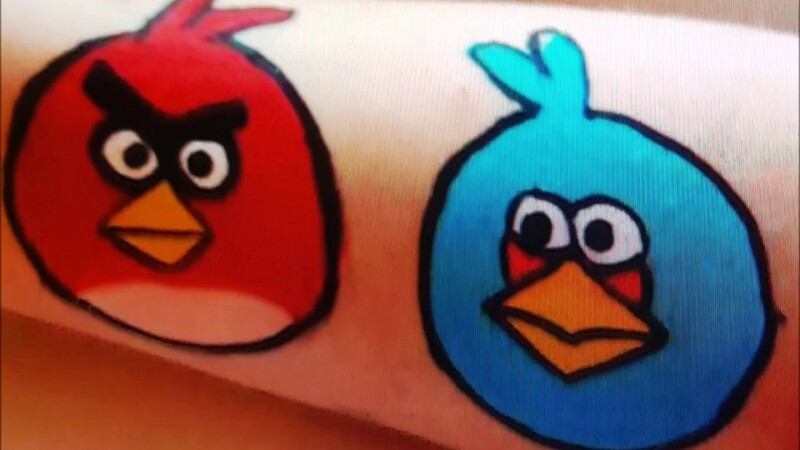 Kids had a blast the face painter was very talented made some beautiful face painting. Very happy with outcome. Will hire again. Magic Sam and Bebe were on time, the face painting and balloon twisting was very good and the magic show totally wowed the little ones. Very entertaining and funny. Good presentation. I would definitely recommend them for kids birthday parties. They did such a wonderful job with the age group we had! It was my son’s second birthday and they made it so special. Him and all his friends really enjoyed it! His daughter, who did the face painting, was amazing with the little kids! She was so patient and great with them while they wiggled! Sam was so friendly and entertaining. Everything was great thank you very much for everything. I HIRED SAM AND FOR MY KIDS BIRTHDAY PARTY. THE KIDS WERE VERY EXCITED . 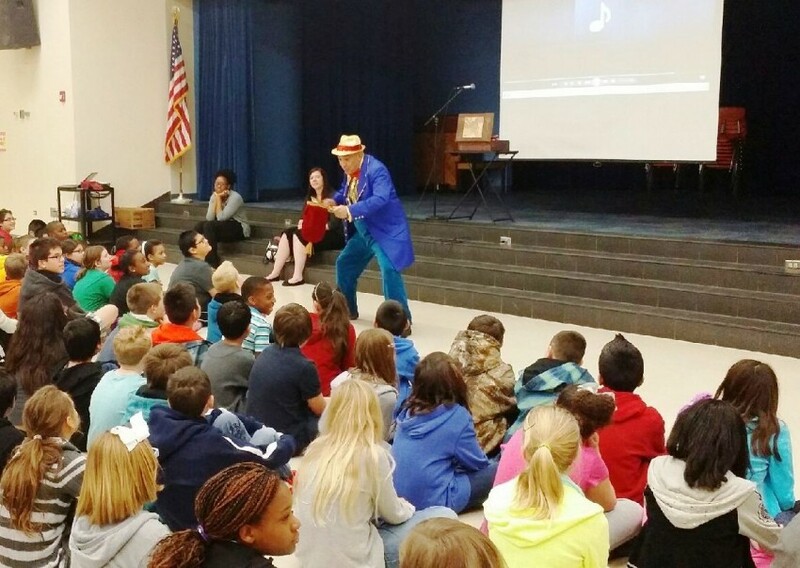 THE MAGIC SHOW WENT VERY WELL AND EVERYBODY ENJOYED . ALL THE GUEST ENJOYED VERY WELL AND WE ARE FULLY SATISFIED WITH SAME PERFORMANCE . The family had a wonderful time, everyone felt included no matter the age. Would not hesitate to have Sam the clown for our children's events. Thank you Lady! we would be happy too! Sam and his team were so fun to have for my son's 4th birthday part. The face painter and the balloon person went way beyond to make kids happy and entertain the kids with whatever requests they had. They did devote time for each kid and that's not the same experience I had with others I have hired in the past. And Sam definitely made things more exciting with his magic tricks and games. Sam you were great and managed the entire event very nicely. Would definitely hire you all again!! We had Sam and his wife to entertain the little guests at my sons first birthday. We booked Sam pretty last minute but he was very accommodative. All i had to do was tell Sam to keep the kids occupied and he made sure all those little guests had fun to the extent that when he wrapped up the show i heard many of the kids tell their parents that the party was going to be no fun now that Sam and his wife were done with the gig. We had a few teenagers and were not sure if they enjoy but we were amazed to see that they too were having fun with Sams Magic and balloon tricks. Thank you Sam for just taking charge of the event and making the kids happy. Sam performed at our son's 4th yr old birthday party, and all the way around we were very satisfied everything. We got many compliments from our friends, the children loved it and it just made everything so much easier to have him entertaining and his assistants face painting, we didn't have to do much. •	Games for all present, music and lots of fun. Sam has worked in this business for many years and he and his staff pride themselves in their vibrant entertainers, classy presents and prizes & our very happy customers! Book us today, you and your kids will not be disappointed. One more very important point: if you have any special request? Just let us know and we will work with you to make your event as fun and exciting as we can. Five stars! Sam did an awesome job! He did face painting, magic tricks, games and Balloon folding into swords and flowers. Kept the kids entertained the whole time! I was very pleased and happy with him at first I was a little nervous cause you never know what to expect with something like this but when he came through the door with the parrot on his shoulder and when the kids looked at him all there faces light up with smiles that's when you made the right decision.. He was very interactive with ALL the kids not just the birthday girl !!! 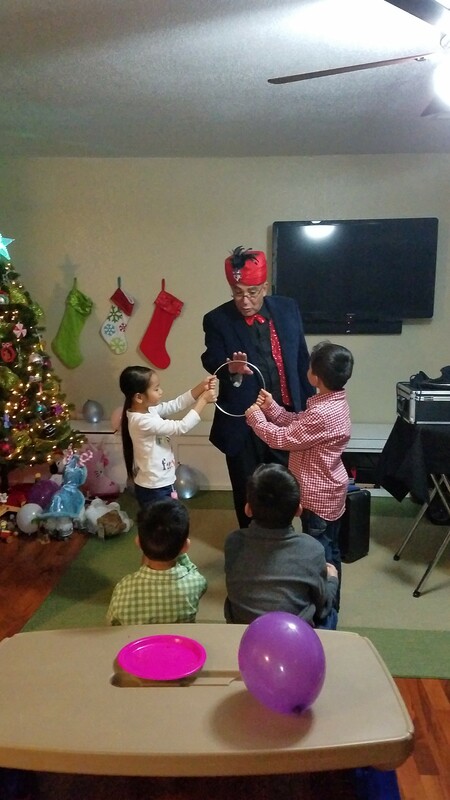 To his magic tricks, balloon twisting, puppet act, and his warm personality made the party a hit!! Money well spent!! Sam the Magic Clown was AWESOME! 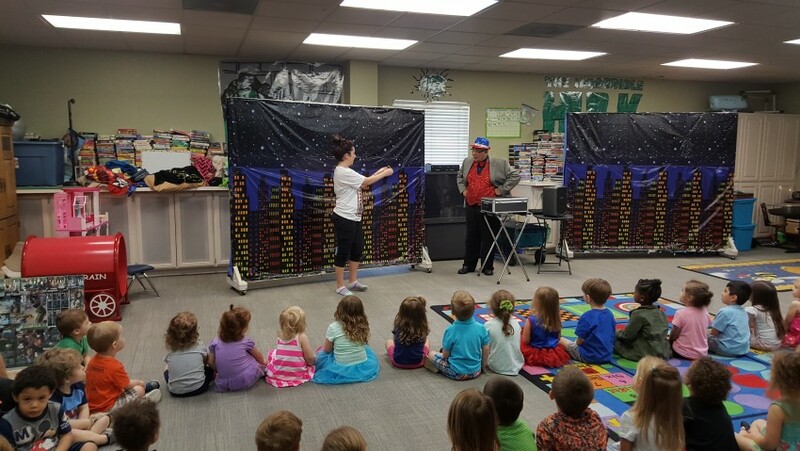 All of the children and adults enjoyed his magic show. I highly recommend that you hire Sam the Magic Clown for your next event! Sam the magic clown is amazing! 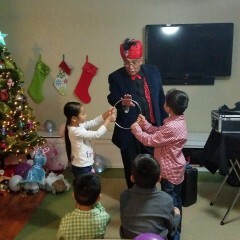 He did a great job and got everyone involved the kids and the adults loved him. He's a great magician and clown. I highly recommend him! Thank you for the great show.